﻿﻿﻿﻿﻿﻿Occasionally you come across an artist whose talent far outstrips the surroundings they are performing and you’re left scratching your head as to why this scenario exists. It didn’t take too long into this show by Nashville based singer-songwriter Jenn Bostic to realise that she falls into this category. The humble settings of an upstairs room in a suburban Birmingham pub seemed a surreal location for such a confident and accomplished performer. However it was a pleasure to be in the company of less than a hundred people to witness an hour long genuine performance of a divine collection of songs that have surfaced from the deep creative well of Jenn’s heart and mind. After only a couple of songs into her set, Jenn was frank and honest about the perception of her musical standing. She shared to the audience a perceived view of being ‘too country for pop and too pop for country’ and how it had proved challenging to being accepted in a demanding industry. Finding a niche may have been tricky but surely an undisputable talent will ultimately reap the rewards from whoever is ready to embrace it. This certainly could be from the wider Americana movement that centres itself in Music City and is renowned for the unconditional support of exceptional talent as well as housing a wealth of female singer-songwriter expertise. 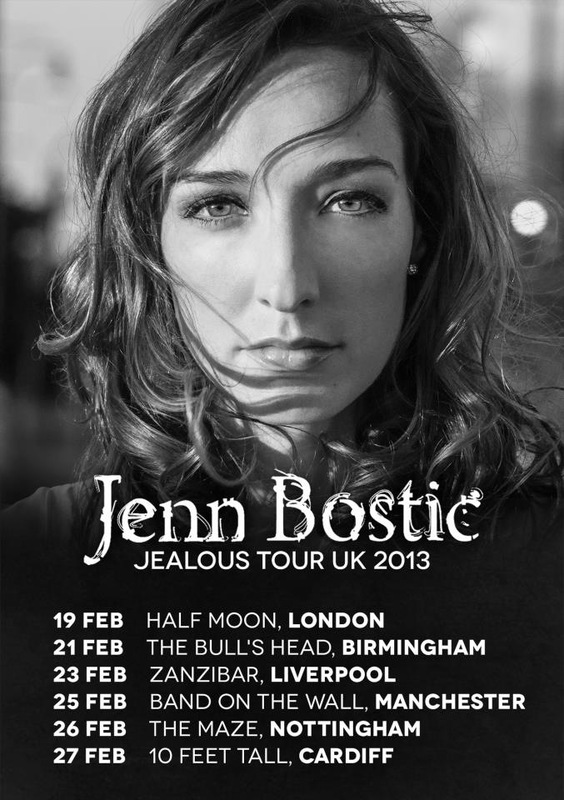 Jenn’s latest album JEALOUS is beginning to gather critical momentum in the UK, even a month before its seemingly absurd March 25 official release. Not surprisingly the record featured highly in the set list for this gig with all but one of the tracks being aired during the evening. The centrepiece of this show and every other piece of Jenn Bostic publicity at the moment is the unabated passion of ‘Jealous of the Angels’, a choral dedication to her late father. The poignancy of tonight’s emotional rendition was the near anniversary of the family tragedy and the fact that it had been performed on the stage of the Grand Ole Opry literally only a handful of days before. However, long after the inquisitive media dust has settled there is a lot more substance to the work of Jenn Bostic. The sincerity of similar heartfelt self-penned songs are found in ‘Just One Day’ and ‘Missing a Man’ while for me there was no better song enjoyed on the evening than the final number and next single ‘Not Yet’, a determination to gain acceptance without compromise. While this album definitely has a pop tilt to its sound, the outstanding and soulful ‘Lips on Mine’, does suggest a desire to further explore the wider fields of American music. There was a couple of directional changes during the set with the playing of ‘Keep Looking for Love’ from a previous more country flavoured album and two new songs in ‘Want’ and ‘Superstar’, the latter a quirky number accompanied only by Jenn on her keyboards. 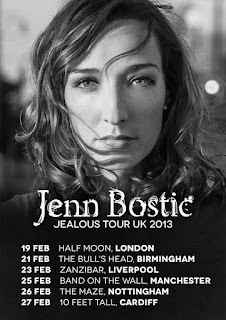 For this and other UK dates, Jenn was fortunate to enlist the services of her close friend and UK singer-songwriter Emma Stevens to open. This widely acclaimed and adept musician, who delivered songs from both acoustic guitar and ukulele, is in the early stages of branching out alone after gaining major sessional experience. 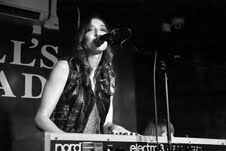 Her impressive set was well received and she is certainly a name to look out for. 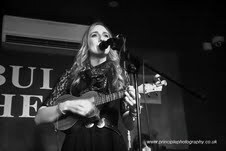 For somebody who is so gifted and refreshing, success for Jenn Bostic in some format is surely just around the corner. There are the obvious fickle pitfalls of totally going down the pop route but, especially in the UK, there is a ready-made market of dedicated followers of quality music who will actively nurture her career development this side of the pond.